Arletty Theatre was founded in 2011 by Imogen Joyce, to create exciting, interactive musical theatre. She was joined by Madeleine Mandal in 2016. We make innovative theatre, start conversations between young and old, and uncover fascinating female stories. 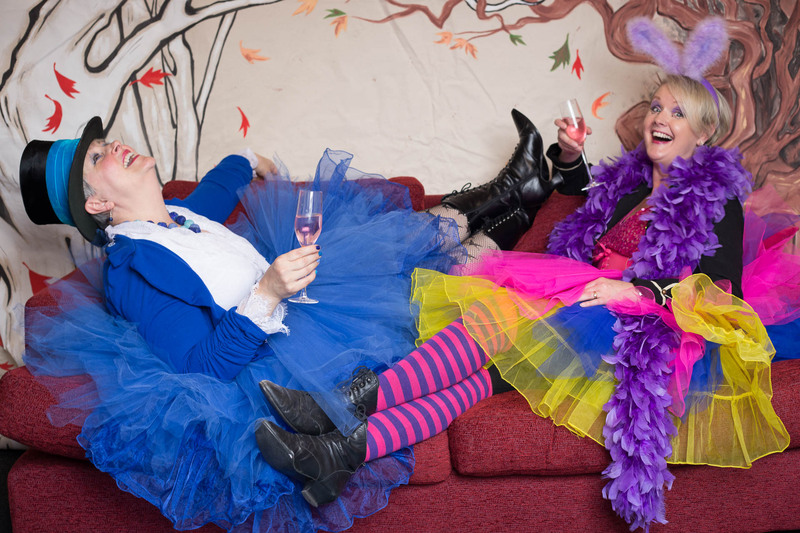 In 2018 we begin an extensive period of company development, with plans for a franchise system to support female theatre-makers, exciting things in the world of Swan Canaries, and our biggest new production ever – Call Centre Fairytale, which is about workplace bullying, gender and diversity, with a bit of ‘Strictly’ mixed in. We use unusual spaces as our inspiration, and re-examine history and fairytales to develop themes relevant to contemporary life. Check “What’s on” for performances. We look forward to seeing you soon!